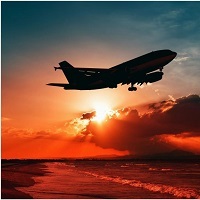 Acquire our services and fly to the destination of your choice conveniently. Travel Gr8 is a prominent name in the industry of tour & travel and providing bankable solutions for flight booking needs. We are based in Darjeeling (West Bengal, India) and can be trusted for booking tickets in any class, at any route & time, around the year. All you need to do is just tell us your journey details and preferences, we â��ll get you confirmed status of booking accordingly. Book tickets with us and make your journey, sorted and hassle-free!